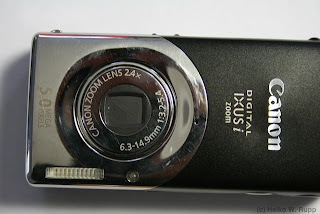 About one and a half years ago I bought myself a Canon Digital Ixus i Zoom. 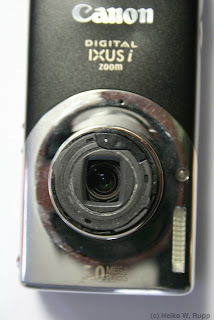 After two weks, the camera was broken, as the lens protection lids were just lying in the lens tube. 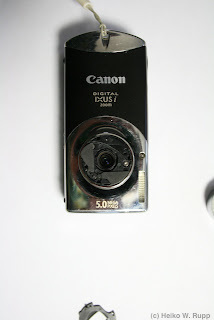 I had the camera sent to Canon and they repaired it on warranty. 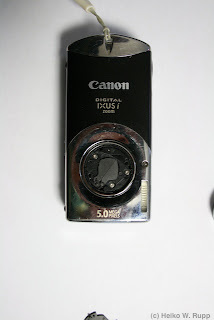 The camera worked well - until recently when I had the same issue again. Googling around indicated that this time the repair would be expensive. 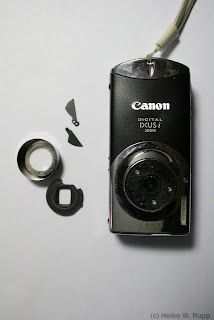 After the camera was just lying around, I thougt "why don't I just remove the broken parts and try if it works again?" I take no responsability whatsoever if your camera breaks, you hurt yourself or your dog runs away. So I took tweezers to try to remove them. 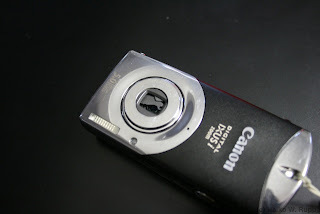 As this was not soo easy I shaked the lens tube a bit and found out that I could just remove the cover. 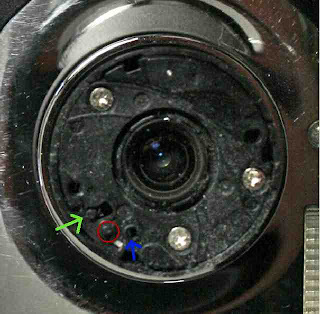 Put the one cover thingy with the hole marked in red on the axis and the hole marked in green on the slidrer. 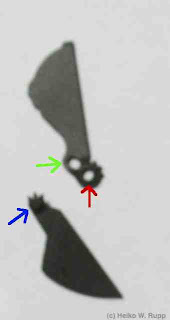 The teeth must be facing the hole marked in blue. Then put the other thingy in place with its little axis in the hole marked in blue and the teeth mathing those of the other one.